Hua Yue Xin Yi Liu He Ba Fa Quan translates as “Hua mountain heart/mind and intent six harmonies eight methods boxing”. It is seen as one of the most sophisticated forms of internal kung fu that for a long time was only taught inside closely guarded circles. It is a unique, effective and unusually beautiful fighting style. The style is commonly referred to as Water Boxing, as its movements are all as smooth as running water. Indeed, the practitioner must ‘become’ the very nature of water – soft one second and thunderously powerful the next, fluid, adaptable and formless. The style is said to have been created by Chen Tuan, sometimes referred to as Chen Hei I (871-989 A.D.). Chen was a noted mathematician and Taoist sage who lived in the Shanshi province of China, and is also accredited with the creation of Tai Chi Ruler exercises, chi gung and nei gung systems as well as Water Boxing. Even though his advice was greatly sought after by the Chinese Emperors during the period of the Five Dynasties and Ten Kingdoms (960-1279 A.D.) due to his deep knowledge of the Classics, Tuan failed the civil service examinations that would have tied him to the Emperor’s service. Instead he embarked on a long journey throughout Asia, conferring with masters and sages wherever he could find them. 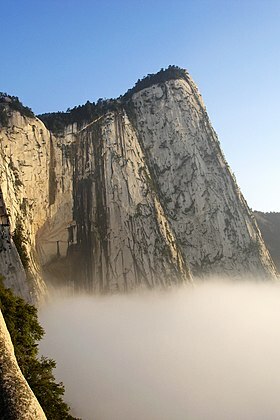 Chen finally settled on Mount Hua, where he taught Chinese cosmology. He professed that “energy manifests as matter and that matter will return to energy”, a premise illustrated in the Six Combinations of Water Boxing – body combines with the mind, mind combines with the intent, intent combines with energy, energy combines with spirit, spirit combines with movement and movement combines with emptiness. Chen ended his days living in a cave, meditating on the nature of all things. So the story goes, about 300 years later at the beginning of the Yuan Dynasty (1279-1368 A.D.), a man named Li Dong Feng went on a pilgrimage to Mount Hua in search of Chen’s cave. After a long search with no result, Li was about to return home when he saw a light emanating from a hillside. Eagerly he climbed up to its source and there he found the final resting place of the famed master Chen. Inside were all of Chen’s writings, amongst which was a detailed description of Liu He Ba Fa. Li was already a proficient martial artist, and set his sights on learning the intricacies of the style and teaching it to a small group of Taoists on the mountain. Over the following centuries, Liu He Ba Fa was only taught to a select few who also introduced their own kung fu styles to the mix. These included Shaolin and Mantis, but most importantly Tai Chi, Hsing Yi and Ba Gua. As it was not taught widely, Liu He Ba Fa was almost regarded as a myth rather than a genuine martial art. However, a Grandmaster called Wu I Hui (1887-1961 A.D.) began to teach it more openly in Shanghai, and its fame grew. Among Wu’s students was Wang Xiang Zhai, famous for his Hsing I and the creator of Tai Cheng Chuan. From here, Liu He Ba Fa has spread to the West, although it still retains its slightly mythical stature as there are very few schools that teach it. As a fighting art, Liu He Ba Fa has been compared to an encyclopedia that incorporates over 700 techniques. As with other internal styles, its training and methods involve cultivation of the body’s internal energy, or chi. As the name alone implies, the style is extremely detailed. The traditional programme is nothing less than an approach to learning designed to assure that the student will move by natural stages from one developmental level to the next. The system is comprised of a single form that is commonly divided into 2 halves. There are some schools that teach additional forms and weapons forms, however these have been added to the original over recent years. The form is not just a string of techniques – it is a language expressing martial arts meaning. You are functioning in relation to an opponent and an always moving, changing circumstance. You must understand not only the how but the why of what you do; awareness and flexibility are key. Each of these sets has a definite purpose. The main form continues the work with the mind and the chi and is used to develop emptiness in movement and complete harmony. A with all high level systems, an array of locks takedowns, throws are employed; pokes and palm strikes are aimed at the eyes, throat, groin, as well as the various dim mak points. Interestingly, where Liu He Ba Fa modifies any of the Tai Chi, Hsing I or Ba Gua techniques (and it does so in many places) the changes are very subtle and always in the service of greater control. It cannot be emphasised enough that this is an extremely sophisticated system. In the photo above you can see Grandmaster Cheung Kwok Tai performing the style with Sifu Tom Braithwaite and one of Tom’s students. This was the first and only time Grandmaster Cheung has ever performed this style alongside other people. The first level is kinetic awareness, learning to move the body through space with precision and control. As the movements are perfected, they can be directed by the mind at a very direct and pure level. Here the form becomes an exercise of intent and will. Every movement has purpose and focus that stimulates one’s inner strength mentally and physically. At this level the practitioner learns to control his energy, or chi, and harnessing it as the force inside the movements and throughout the body. In Taoist belief, a person’s spirit (or Shen) is the intermediary between their soul and the Tao. As the life force of chi is united with the spirit, it becomes literally “inspired”, giving a feeling of revitalization, clarity and focus. Here the practitioner’s spirit begins to be truly expressed through the physical movements. Every different person flavors the Water Boxing movements with their own spirit, and the form becomes an expression of their true self. When the movements combine with emptiness, there is no longer a separation between the practitioner and the present moment – the practitioner is in the moment where a duality of stimulus-response does not exist. One can relive the perfect natural state – a central goal of Taoism. The Eight Methods are the tools for applying the six combinations. There are eight internal and eight external methods. They are not sequential and are used constantly throughout practice. The mind leads the chi. Where the mind directs, the chi will follow. Bone energy is developed by directing the chi through the bones to harden and condition them. The added chi in the bone has significant health effects, possibly by stimulating white blood cell production in the bone marrow. The shape and feeling of each movement has an impact on how the chi flows through your body. The meaning is twofold. On one hand one must follow your opponents’ movements and on the other one must learn to follow your flow of energy. Raise your head to lengthen the neck and spine. This will lift the chi from the Dan Tien and improve your posture and balance. The literal translation of this instruction is “Return: to go and come, to reverse and to alternate.” It has many meanings: to return the chi to the Dan Tien, to deflect and return a partner’s energy, continuous changing movement and repeated practice of the form are a few of the applications. This is often interpreted as preserving physical and mental energy. It is also an instruction to avoid conflict in any part of one’s life, or if there is no choice to maintain calm and focused against an opponent. To conceal is to control or to hide your energy until the moment you need it.